A platform for people who dream to become great writers but haven't just got the encouragement & fluidity yet. We all have Amul milk products, the taste of India, don't we? But do we know the person behind it and whose dream it was? 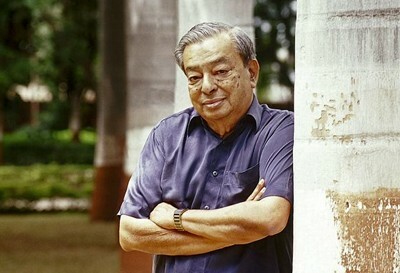 He is none other than Dr.Verghese Kurien, who set up Anand model of co-operative dairy development and was conferred with the title "Father of White Revolution". He was from a Mechanical Engineering background who had received over 15 honorary degrees from universities of India, US, Canada, and UK. He began his career as a dairy engineer in Anand in 1949. Insufficient collection and distribution of milk along with its aduleration, often having been sold at high prices to consumers and little profit for producers led Kurien to organize the co-operative to handle its own marketing directly to consumers along with manager of local Kaira district Co-operative Milk Producers' Union. Based on the success of this Co-operative with lot of initial struggle, Prime Minister Shri Lal Bahadur Shastri created National Dairy Development Board (NDDB) to replicate the model nationally. Operation Flood was the largest agricultural development program in the world reaching nearly 250 million people. After this, India also emerged as the largest producer of milk in the world, surpassing US. Also domestic milk prices have stabilized, India's towns and cities receive an adequate supply of hygienic milk and landless labourers have a regular source of income. He wanted to put the farmer in command as owner of his/her own co-operative. "Serving your own people is equivalent to serving your motherland! ", he said. For all his highly commendable achievements, he was awarded Padma Shri in 1965, Padma Bhushan in 1966, Krishi Ratna award in 1986 and many more. Any facts, figures or references stated here are made by the author & don't reflect the endorsement of iU at all times unless otherwise drafted by official staff at iU. This article was first published here on 19th November 2013. Aashitha R Pade is a contributing writer at Inspiration Unlimited eMagazine.